Haleiwa Rental Guide | Owner Direct Vacation Rentals Inc.
Haleiwa vacation rentals are located in Honolulu County on the northwestern coast of the island of Oahu, between Waialua and Kawaiola Beach, along Highway 83 near Kaiaka and Wailua Bays and the Opaeula Stream. The beach is north of Haleiwa along the Kamehameha Highway, just beyond the small boat harbor. Grass lawns bordering the beach are perfect for volleyball, horseshoes, barbecuing and other beach activities. Like all the north shore beaches, the winter waves are awesome, but in the summer the calm water makes it a perfect place for families. Surrounded by some of the world's most well known and beautiful beaches and sunsets, Haleiwa is the filming location for the popular TV show Baywatch. Haleiwa is a blend of cafes, art galleries, boutiques and shops, with remnants of the old Hawaiian plantation days. Snorkeling, fishing, surfing, and kayaking are just a few of the activities you can enjoy in Haleiwa. 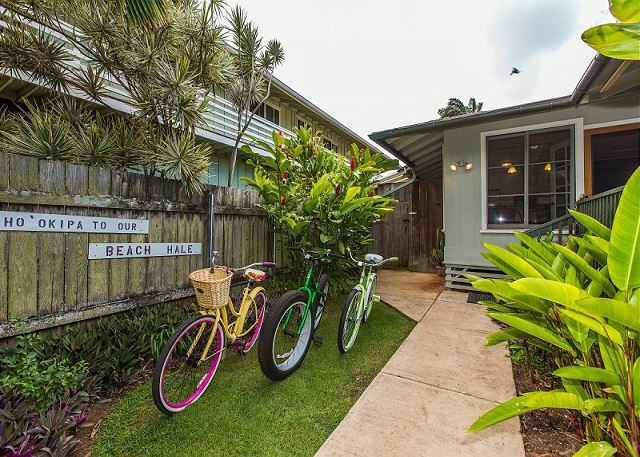 By renting a Hawaii vacation rental by owner, tourist can experience all that Haleiwa has to offer.